Eden Mobility in Stockton-on-Tees is proving really popular, with local staff always on hand to give you helpful friendly, expert advice. Why not call into Eden Mobility Stockton for a chat about how you could benefit from our products, such as scooters, stairlifts, rise and recline chairs, healthcare beds and much more, or services such as the worry-free Motability Scheme. Eden Mobility recently won the Motability dealer of the year award for 2012/13, so you can be sure of excellent customer service and aftersales care. Your local store is located at the busy Wellington Square Shopping Centre in Stockton, next to O2. We have 5 used mobility scooters that are available to view at our Stockton store. Come and see our selection of small, medium, large and executive mobility scooters in our Stockton store today. We have some fantastic offers available across our entire range and we can provide you with all of the information you require. A powerchair is an electronic wheelchair that can be operated with a joy-stick by hand. They're perfect both indoor and outdoor use. 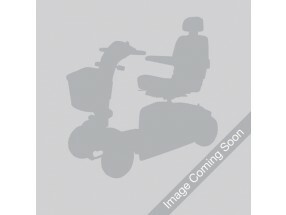 Eden Mobility can supply a variety of powerchairs throughout Stockton and surrounding areas. If you are interested in buying a rise and recliner chair for your living room, view our huge range online or even in store today. You can find us on Wellington Street in Stockton where our friendly team will be able to provide you with all of the information you need about our rise & recliner chairs. Stairlifts are the perfect solution for anyone who struggles to get up and down the stairs of their home. Eden Mobility are able to provide both straight and curved stairlifts for even the most complicated types of stairs. Come and see us on Wellington Street today for a live demonstration. We have a huge selection of wheelchairs to suit everybody's requirements. Come and see them for yourself at our store on Wellington Street in Stockton-on-Tees. Our friendly team will be able to give you all of the information you require.